DIGI forming higher high & higher low. Will it rebound from MA50 support level? Subsequent support @ RM5.17 level. 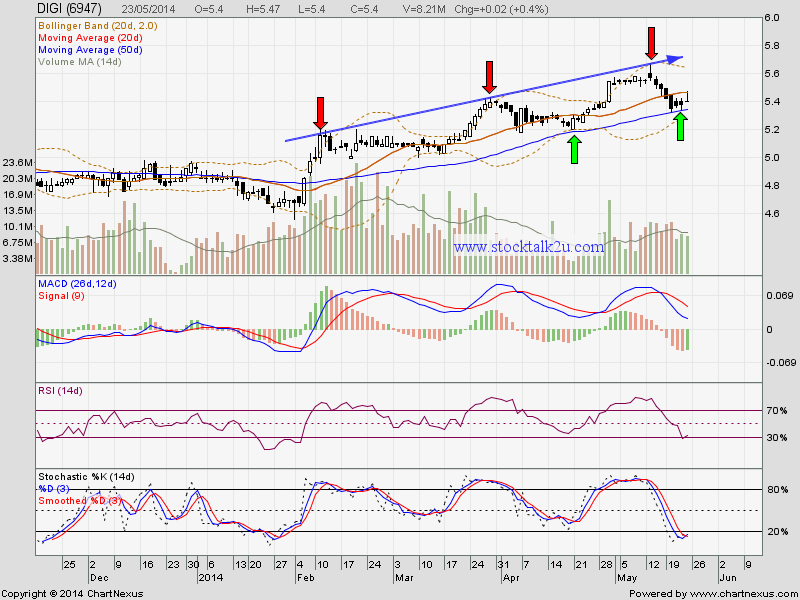 Subsequent resistance @ RM5.65 level.